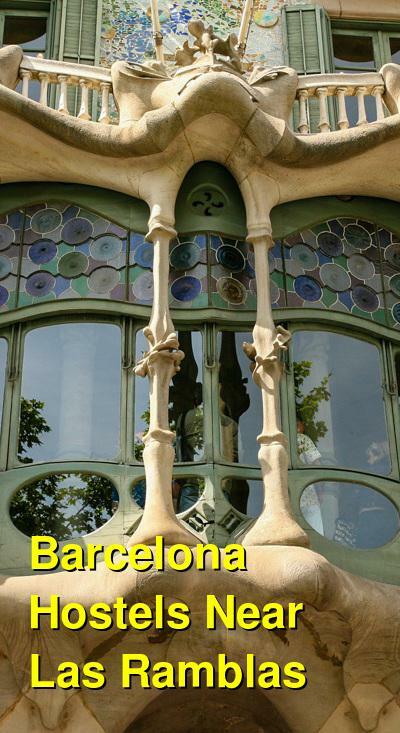 Barcelona has long been a favorite destination for backpackers in Europe. Many visitors choose to stay near Las Ramblas, in the Ciutat Vella area. This tree-lined pedestrian walkway is a fun and active area to stay. It's a somewhat touristy neighborhood so you can expect to pay slightly more, but still, there are plenty of budget friendly hostels around. Head to the side streets if you're looking for a more authentic experience, but wherever you go, you'll likely be entertained. Kabul Backpackers Hostel is a favorite among visitors to the city. The atmosphere is wonderful and if you're traveling alone, it's very easy to meet other guests. There are regular activities organized, and plenty of opportunities to interact with fellow guests. It's wonderfully located just a minutes walk from Las Ramblas, and is very close to a metro station so you have easy access to the rest of the city. It's near plenty of great restaurants and affordable places to eat. Lunch and dinner are available through the hostel as well. Amenities available to guests including wi-fi service, an onsite bar, music, security lockers, a pool table, television, summer terrace, free breakfast, laundry facilities, hot showers, and storage space. Located just 150 meters from Las Ramblas, this hostel is a comfortable option with affordable prices. It's a popular hostel with a great reputation and is near La Boqueria Market and many other tourist attractions. The hostel is owned by four friends who have gone out of their way to design a facility that is warm and welcoming. The staff is available 24 hours a day and speak Spanish, English, Italian, Greek, German and Portuguese. It's a social setting with plenty of opportunities to meet other guests. Amenities include a full kitchen, wi-fi access, luggage storage, lockers, dvd movies, city maps, and travel information. The rooms are clean and comfortable with fun decorations. There are a range of room options available including both private and dorm rooms. Barcelona Ramblas is located right in the middle of the city. 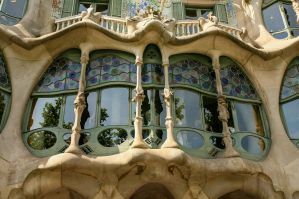 It's just ten minutes from Las Ramblas, and is also close to the museum of Contemporary Art, and Placa Catalunya. It's in a trendy and lively part of the city that is attractive to both tourists and locals. Within walking distance you'll find Picasso Museum, Gaudi's houses, the Cathedral, the Gothic neighborhood and the bohemian Borne area. Amenities at the hostel include a common room with television, free internet access, a full kitchen, and free breakfast. Rooms range from singles to doubles, or even triple rooms. All rooms have their own television set. The staff is young and fun and know a lot about the area. They'll go out of their way to make sure you have fun and know where to go and what to see. This hostel is located in the middle of the city right next to Las Ramblas. It's a great place to meet other people from all over the world. They offer amenities such as air conditioning, central heating, walking tours, party tours, tapas, and flamenco shows. It's a pleasant and comfortable place to stay that is very communal in nature. Other amenities available include free breakfast, security lockers, central heating, laundry, a dining room, free internet access and more.